At Discover Chiropractic we pride ourselves in achieving highly effective results and therefore help patients live their life in optimal wellbeing. We wish to educate the public on all aspects of health, especially the importance of a healthy nervous system and how this will not only help them with overcoming their ailments but also prevent problems arising in the future by maintaining a normal functioning nervous system. We will preserve the philosophy of Chiropractic and practice the Gonstead system in its original form. A brief description of what you can expect on your first visit. You can also download our New Patient Form ahead of time. See a list of reasons why you should phone and book in for an appointment today. Discover and learn from our list of most asked questions..
Often people can be unsure as to who to go to when they need chiropractic care. 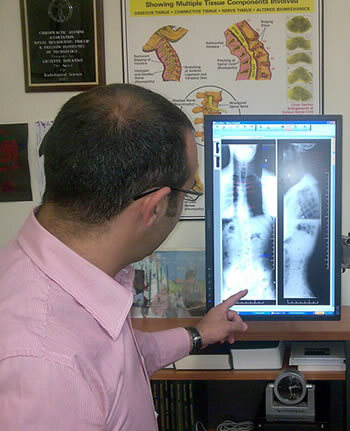 In this video, Dr. Joe Bonnano talks about what to look for when searching for a chiropractor - this video will help you with your decision and if you would like to give the clinic a call and ask any questions - you can call on 9311 9566. We are here to help you and happy to answer any questions you may have. Chiropractic treatment can benefit people of all ages and from all walks of life. This includes babies, children, adolescents, and adults, the elderly and also pregnant women. The prime objective for Chiropractors is to analyze the spinal joints (and at times other joints) to find a subluxation. A subluxation is a misalignment which causes a restriction in motion, inflammatory and soft tissue changes and most importantly nerve irritation/compression. This nerve irritation can then cause an array health issues, ranging from pain, problems with joints, bones and muscles and also the dysfunction of glands, tissues and organs. The management consists of a wide range of adjustive techniques designed to correct the subluxation, thereby improving the function of the joints and removing the nerve pressure/irritation. The resultant restoration of normal nerve activity in turn relieves pain, muscle spasm and any associated body dysfunction. Such skilled adjustments are very specific, directed at individual joints in order to remove nerve irritation, reduce strains and improve mobility in one area without disturbing another. Chiropractors will also offer individual advice about the patient's lifestyle, work and exercise, in order to help in managing the condition and preventing a recurrence of the problem.